There's no doubt Tesla is hotter than ever, but such rapid success does not come without some growing pains. The company recently announced some improvements to the Model S, including a dual-motor all-wheel-drive system, but the complexity of those launches will hamper Tesla's production speed, CEO Elon Musk said in the company's quarterly results Wednesday. Musk had earlier predicted that Tesla would deliver 35,000 Model S vehicles this year. Now, it looks like it will be coming up 2,000 short. Still, Musk expects Tesla to deliver 50% more cars this year than it did in 2013. And sales were up again last quarter, beating Wall Street's expectations. Tesla (TSLA) shares surged after the bell. "Demand is not our issue. Production is our issue," Musk said on a conference call with investors. In fact, Tesla has more demand than it can meet right now, even without advertising or endorsements. "We don't pay anyone to pretend to like our product," Musk said. Tesla is the first major company to make only electric cars. 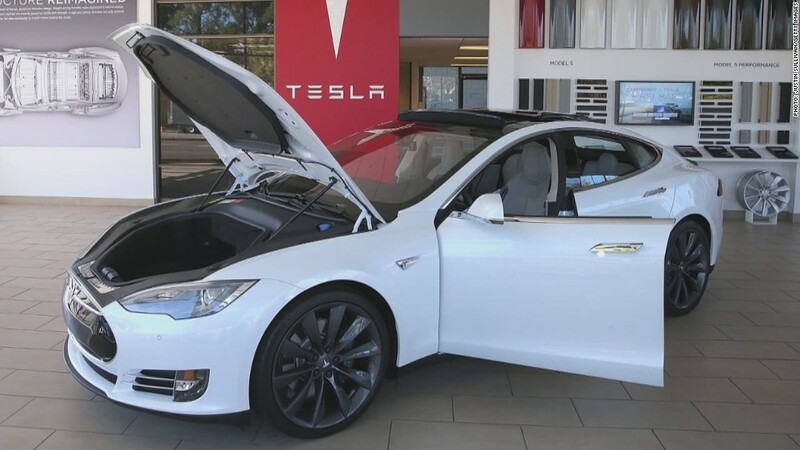 The Model S, its only vehicle currently for sale, made a splashy entrance into the market. But it's tough to change the status quo. Musk said the company is pushing back the release of Tesla's next vehicle, the Model X, by a few months. Deliveries of the crossover model will begin the third quarter of 2015. Despite the delay, Musk is confident that 2015 will be another record-setting year. He expects to once again increase the number of Model S vehicles sold by 50%.